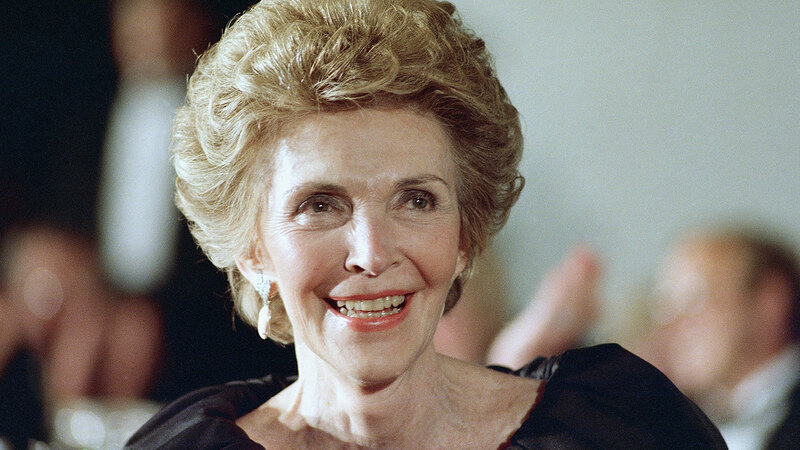 Former first lady Nancy Reagan smiles in 1988. 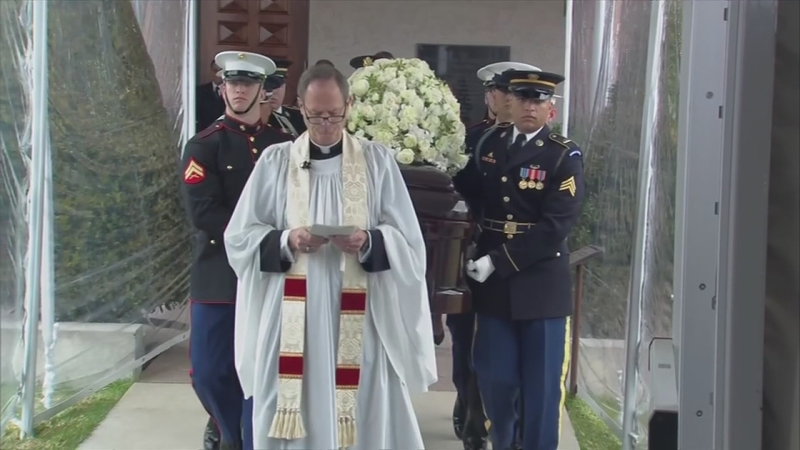 SIMI VALLEY, Calif. (KGO) -- The funeral of Nancy Reagan took place on Friday, March 11, 2016 at her husband's presidential library in Simi Valley, California. Click here for full coverage on the passing of former First Lady Nancy Reagan. The funeral of Nancy Reagan took place on Friday, March 11, 2016 at her husband's presidential library in Simi Valley, California. Here's a look at Ronald Prescott Reagan, son of U.S. President Ronald Reagan and Nancy Reagan, reflecting on his mother's life. 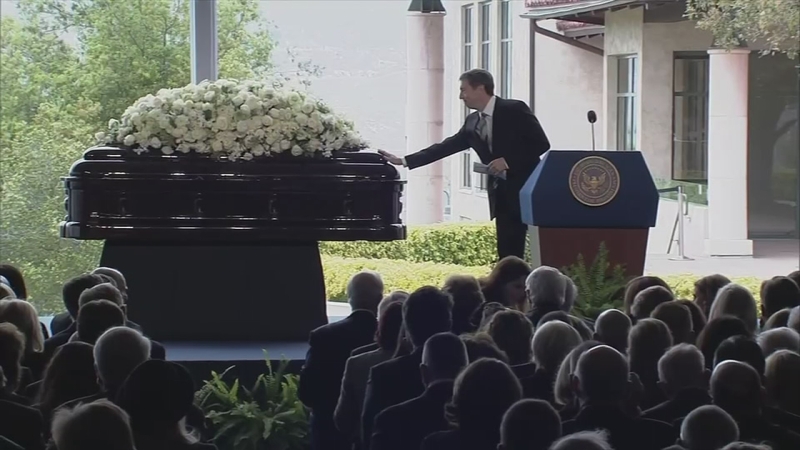 The funeral of Nancy Reagan took place on Friday, March 11, 2016 at her husband's presidential library in Simi Valley, California. 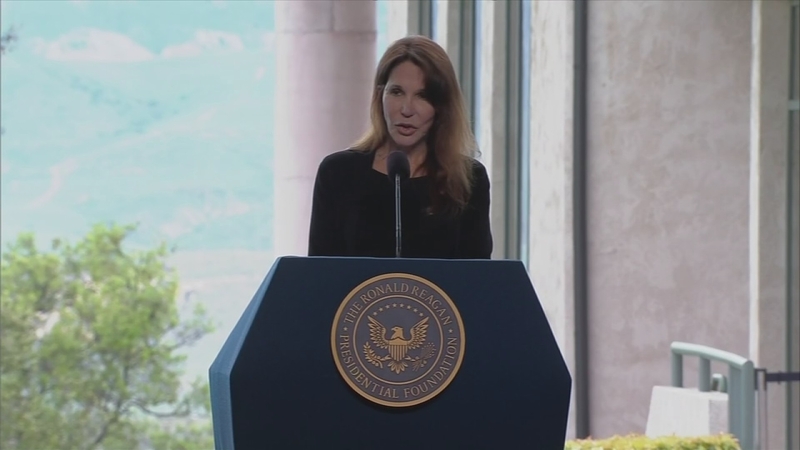 Here's a look at Patti Davis, daughter of U.S. President Ronald Reagan and Nancy Reagan, reflecting on her mother's life. 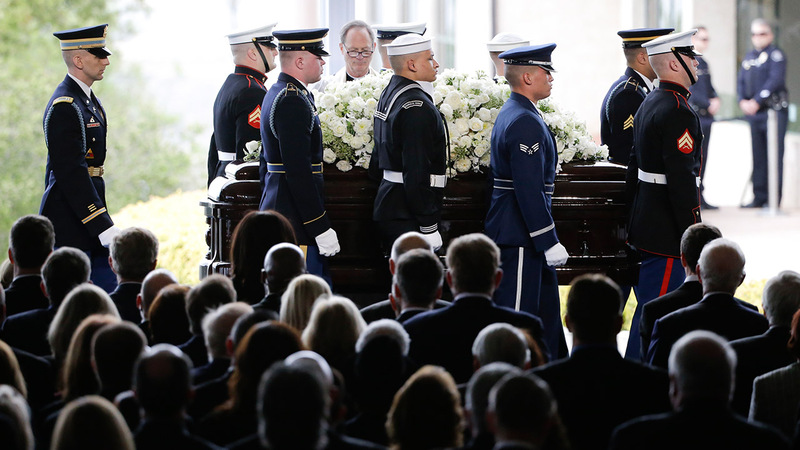 The funeral of Nancy Reagan took place on Friday, March 11, 2016 at her husband's presidential library in Simi Valley, California. Here's a look at the casket being carried into the service. The funeral of Nancy Reagan took place on Friday, March 11, 2016 at her husband's presidential library in Simi Valley, California. 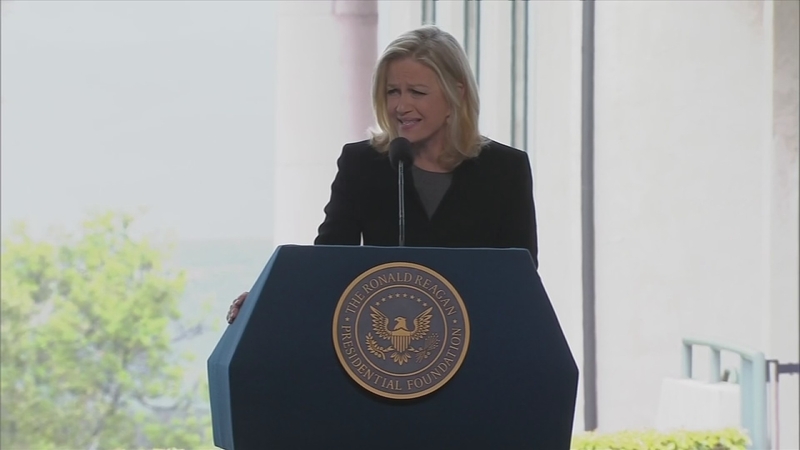 Here's a look at ABC's Diane Sawyer reading the gospel during the service. The funeral of Nancy Reagan took place on Friday, March 11, 2016 at her husband's presidential library in Simi Valley, California. 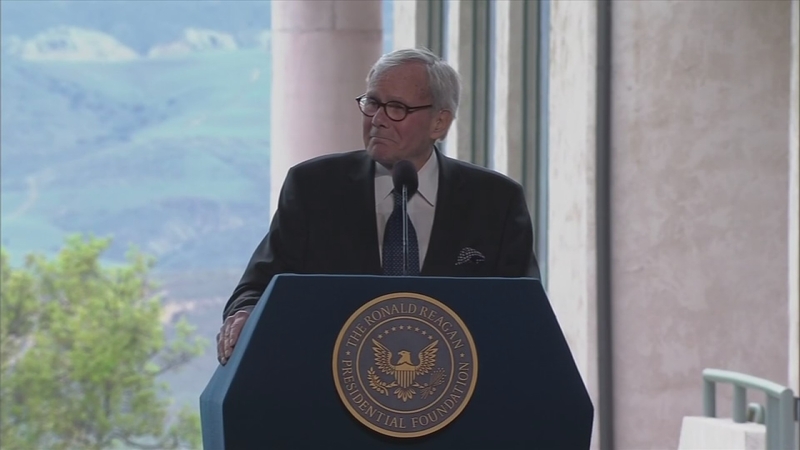 Here's a look at Tom Brokaw sharing memories of the former first lady. The funeral of Nancy Reagan took place on Friday, March 11, 2016 at her husband's presidential library in Simi Valley, California. 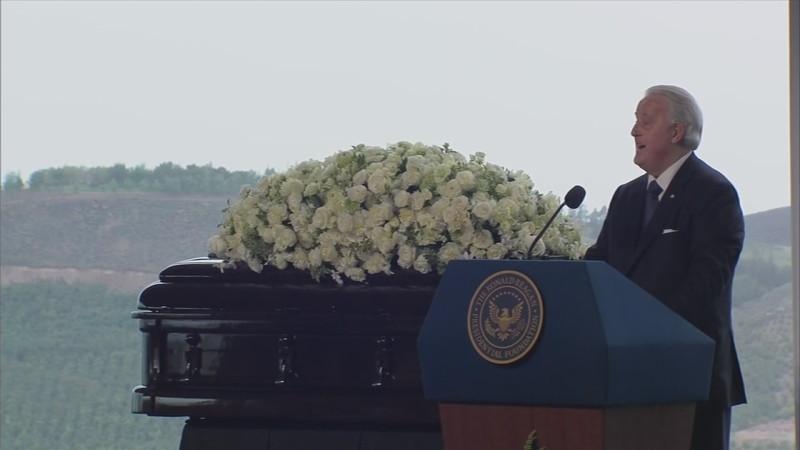 Here's a look at former Canadian Prime Minister Brian Mulroney reading President Ronald Reagan's letter to his wife. The funeral of Nancy Reagan took place on Friday, March 11, 2016 at her husband's presidential library in Simi Valley, California. 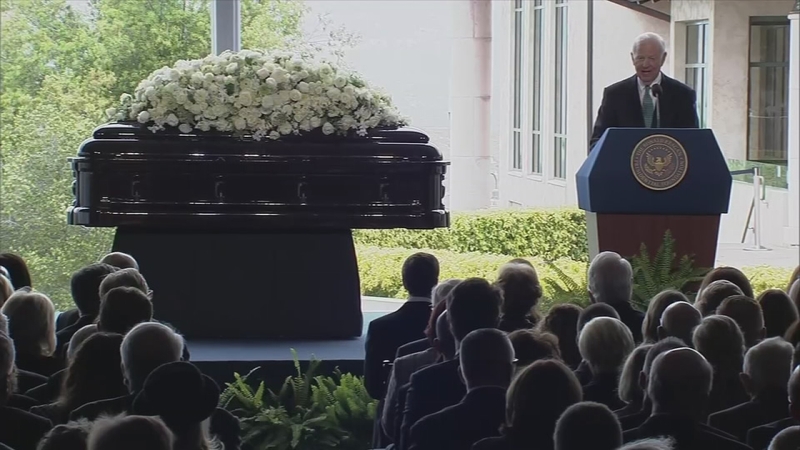 Here's a look at former White House Chief of Staff and Secretary of the Treasury James A. Baker reflecting on the life of the former first lady. George W. Bush, Hillary Clinton, Michelle Obama and other notable figures paid their respects at the funeral of former First Lady Nancy Reagan on Friday, Mar. 11.